Google keeps revisitingthe concept of the connected home, and so far it's not gone anywhere huge with it. That's because, to be honest, there's not that much demand for the ability to make your blinds come down by remote control. It bought out Nest, and that has the wholestylish thermostat, and smoke alarm market pretty much nailed down. Nest bought out Dropcam, so it has a decent IP cam in the mix, too. Now it's releasing Google Home, a speaker thing you can talk to,to take on Amazon's Echo, which has been a SMASH. Here's why you might want one. Of course it does, surely? We don't have many specifics on Google Home yet but in the name of all that is holy, it must. Otherwise this is not going to work at all. So you'll be able to just yell out, "Hey, turn the temperature down," or, "Is my house on fire or what?" or, "Show me what's happening on the playroom camera," and it will make it so. Again, just give it a yell and up comes, say, Game of Thrones or Loose Women or, I don't know, some French thing about corrupt cops, or anything that Amazon, sorry, Google, has deigned to programme into its voice-controlled device and cut licensing and/or IP control deals for. Just like Amazon Echo, you can probably buy stuff with Google Home. Just say, "Hey I want to buy a Nexus 6P" or "Toilet paper" and they'll appear shortly. Or say, "I want to buy an Apple iPhone 7, which comes out pretty much when you do, Google Home!" And it'll say, "I do not understand your request. Please report to a Google re-education centre." For sure, Google Home will let you control Google Music. Just yell out the name of a tune and bang. There it is. Who wants buttons when you can speak? Unless you've lost your voice. But that's rare. Google's speech recognition already leads to far fewer awkward pauses and feeling like you're talking to a very elderly, very deaf and confused relative, than Siri, Xbox One, PS4, all satnavs and, in general, all things that involve speech recognition put together. 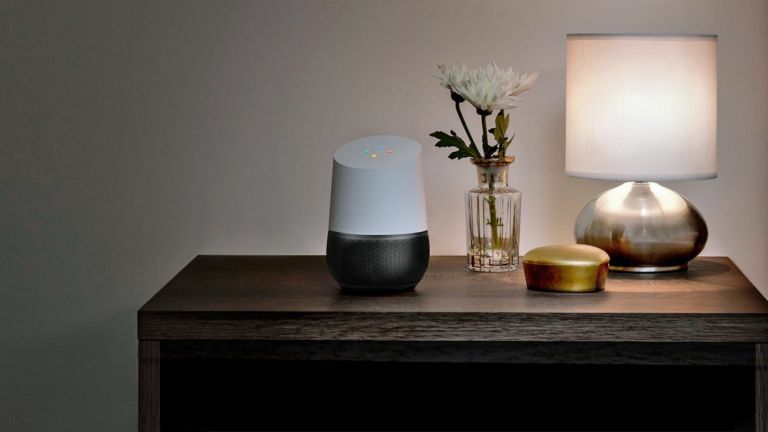 Google is saying that Google Home can do that from further afield than a phone or Android Wear watch held near your mouth. That could be a massive step forward in the world of shouting things into empty rooms, outside of the insane-people community. Probably not in Britain, where we can barely deal with talking to people who we haven't been introduced to by our partners or at least 2 members of our family. But in America, where Amazon Echo has already weaned consumers onto the whole idea of shopping, media management and making your lights go brown via speech, this could signal a new era of having an inanimate, tastefully designed, button-less slave. Which is either apt or ironic, because Amazon Echo looks like a similarly gifted design student's stab at a pepper mill. 9. Look, it's Amazon Echo but made by Google. Some might say that it's hard to decide if that's a plus or a minus. But Google is definitely better at speech recognition than Amazon, and Google Home is definitely a more obviously self-explanatory name than Amazon Echo. On the other hand, Amazon is better at selling you stuff so the jury's out for now. 10. You can order air strikes on your neighbour's house, if they're noisy. Now, we don't know this one for a fact, and we won't fully know the capabilities of Google Home until it launches later this year. But given Google's research into drones, driverless cars and beaming the internet down from balloons, no way would we rule this out.